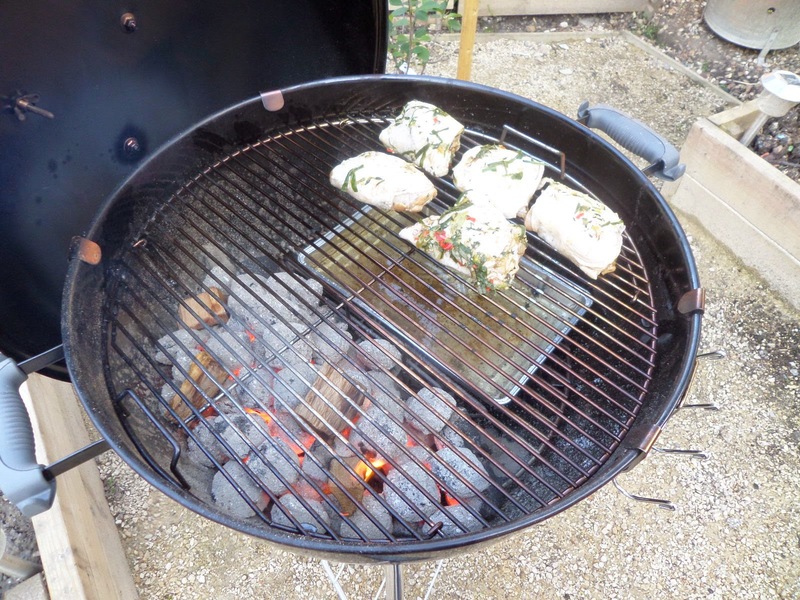 After our success with smoked chicken on the barbecue, it’s time to try jerk chicken. I had real problems finding a good recipe, specifically finding one that calls for spraying the chicken with Red Stripe lager, as is always done by the experts when we see it being done at local fêtes. In the end I found this recipe from Cook Before Eating, which includes recipes for the gravy, rice & peas, and plantain. However I’ll be grilling in the ATK way, smoking it like we did last time, and spraying with Red Stripe towards the end. 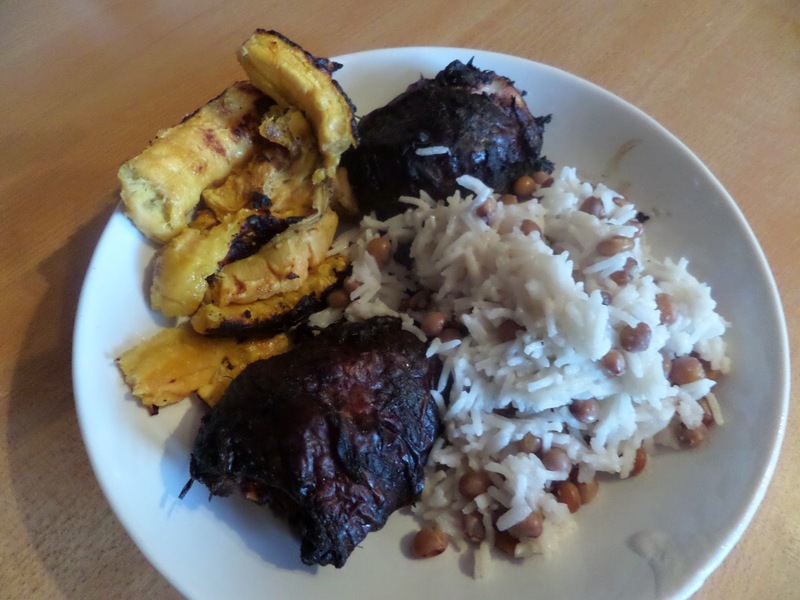 With the rice & peas we’re actually going to do them properly: not just throwing kidney beans in with some rice. Not only are we going to use coconut milk, we’re going to start with dry beans! I was going to use light coconut milk to keep the calories down, but it turns out we’ve already got some cans of coconut milk, so waste not want not! The chicken isn’t that calorific, so as a whole the meal shouldn’t be too bad. 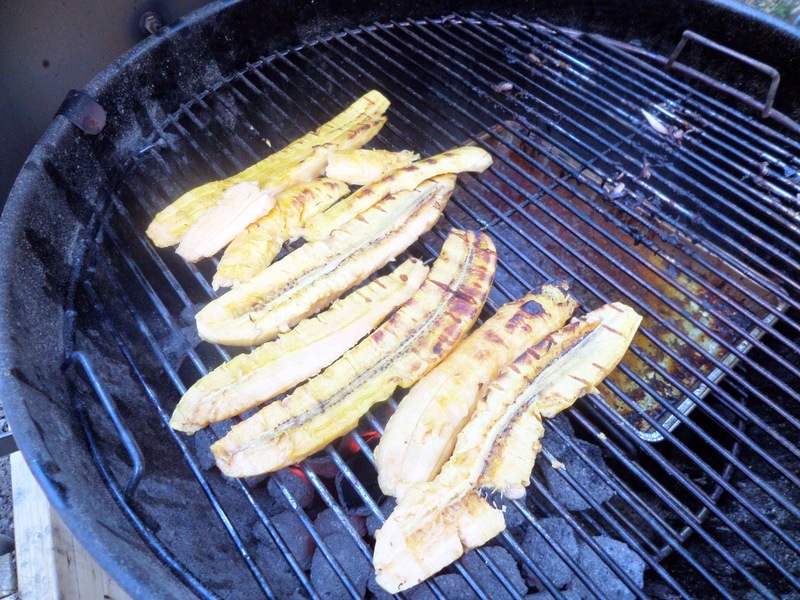 For the plantain I’m varying from the recipe as I want to do them on the barbecue. And so we have made proper jerk chicken! It was very tasty, but despite all those scotch bonnet chillies, not spicy enough for u!